Gov. Dave Heineman and First Lady Sally Ganem are encouraging parents to be more involved in their children’s education in order to increase a student’s opportunity for educational success. Gov. Heineman has proclaimed August to be Parental Involvement in Education Month in Nebraska. Countless studies and examples show that when parents are involved in their child’s education, student attendance increases; student attitudes and accomplishments improve; and any previous discipline problems decrease. This generally holds true regardless of a family’s socio-economic status, education level or cultural background. Working as partners, parents and schools can maximize strengths, develop strategies and reinforce each other’s efforts to help children succeed in their education and in life. 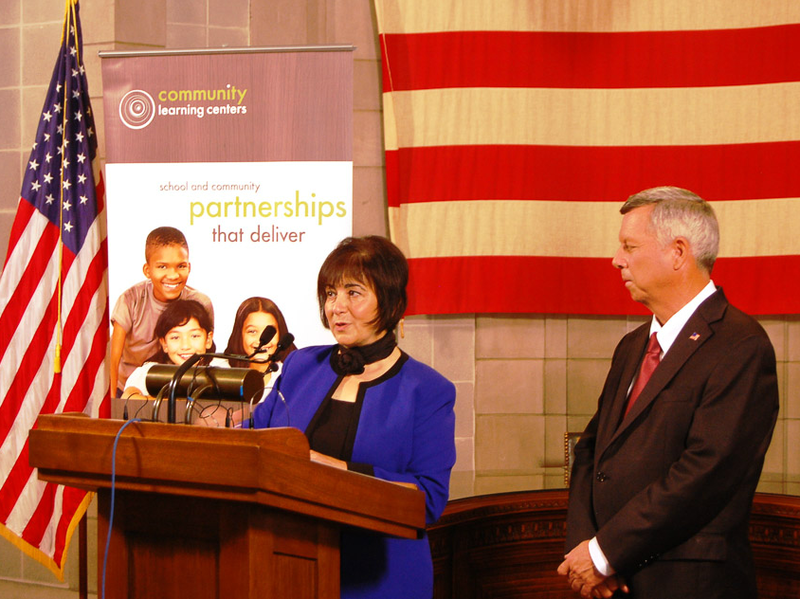 The Governor and First Lady, today, highlighted the work of the Nebraska Community Learning Center Network who are engaged in promoting parental involvement throughout the state, as one example of ways communities and parents can work together to help students learn and grow. The Nebraska Community Learning Center Network has several ongoing efforts encouraging parental involvement, including activities at this month’s Nebraska State Fair in Grand Island. At the fair, teachers, parents and students can learn how the application of science, technology, engineering and mathematics, commonly referred to as STEM courses, make events like the state fair possible. STEM education opportunities will be located throughout the fair. STEM will also be featured at Nebraska’s Largest Classroom, held at the fair on Aug. 26 and Aug. 27. The Nebraska Community Learning Center Network is a statewide public-private partnership that supports sustainable, high-quality, school-community collaborations that provide youth with what they need to be successful in school and in life. The network is part of the Nebraska Children and Families Foundation, a non-profit that aims to build strong communities that support families so their children can grow up to be thriving, productive adults. The Nebraska Community Learning Center Network collaborations provide students access to areas of learning they may never experience, including hands-on STEM activities. Through the process, participants’ exhibit increased school attendance, positive behavior and improved academic performance. Additionally, Nebraska Educational Telecommunications (NET) will be airing the August episode of NET’s series “The State of Education in Nebraska” which looks at community efforts designed to build parental engagement. “The Challenge of Parent Engagement” airs Aug. 15 at 8 p.m. CT on NET2 World. The program will feature an interview with Gov. Heineman and First Lady Ganem. Watch the full episode now. The “State of Education in Nebraska” is a two-year initiative led by NET Learning Services and the Nebraska Children and Families Foundation. As a statewide transmedia effort, “State of Education in Nebraska” examines issues and connects Nebraskans to the important role that innovative school-community partnerships can have on improving student achievement.